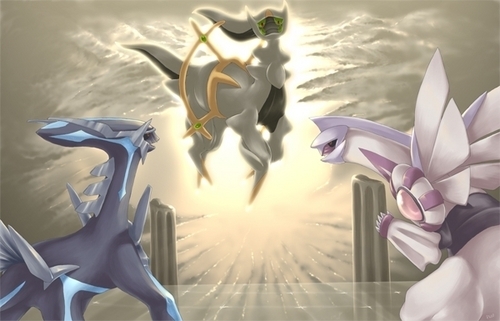 dialga-vs-arceus-vs-palkia. . Wallpaper and background images in the 전설의 포켓몬 club tagged: legendary pokemon. This 전설의 포켓몬 photo contains 부케, 코사지, 꽃다발, posy, nosegay, and 코 사지.